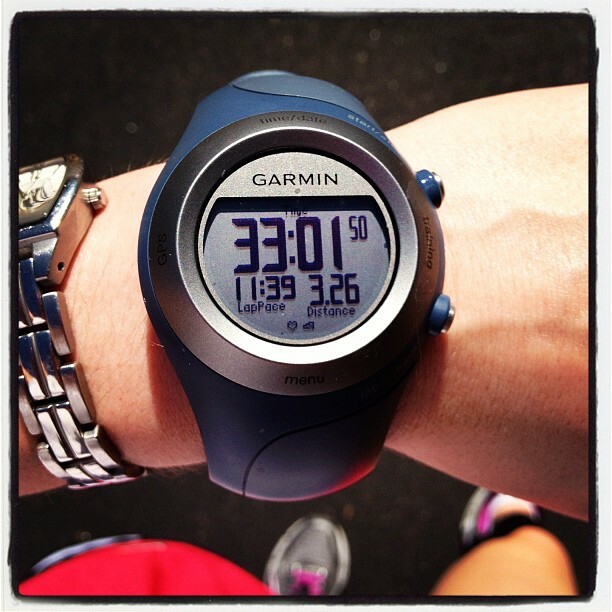 My run today was alright, but nothing stellar. 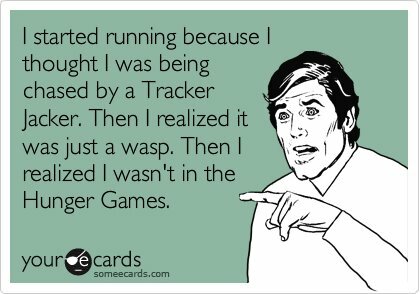 While we’re on the subject, here’s another funny Hunger Games running card :). 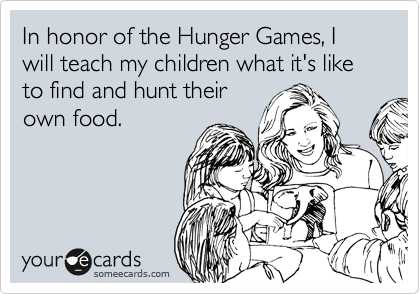 Okay that’s enough Hunger Games for today, on to cooking delicious food (that I unfortunately, did not find in the wild). 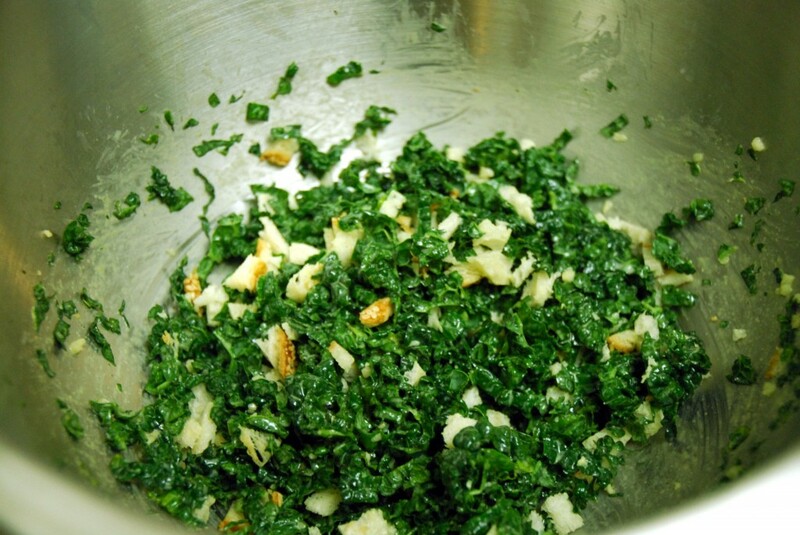 Luke actually created this awesome recipe for a Raw Kale Ribbon Salad. It started as an attempt to recreate one of our favorite dishes from a restaurant we frequent in Kennbunkport, Maine called Bandaloop. I have to admit, I wasn’t sure it was going to work, but it turned out amazing! It’s quick and easy to make too! Just rinse and dry your kale. 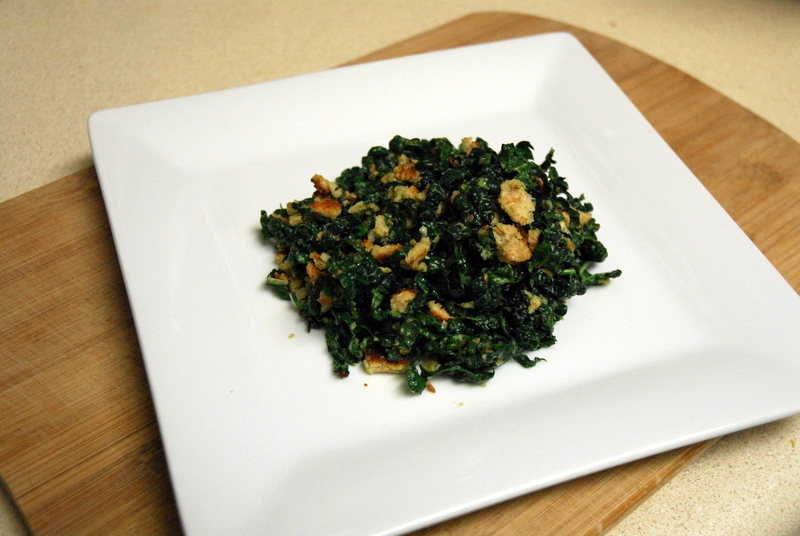 Chop off the stems and cut the kale into small “ribbons”. 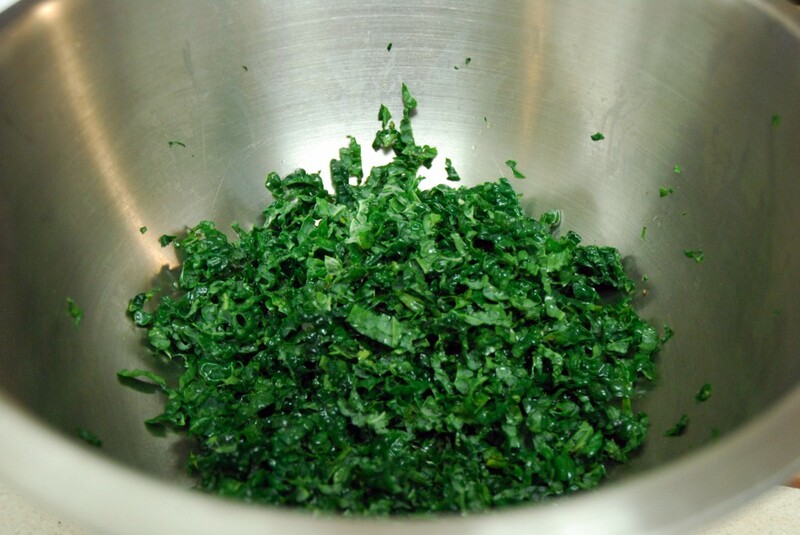 Massage your kale with lemon juice and let it sit for 15 minutes. While you’re waiting, mix together your tahini, water, garlic, salt and sugar in a smaller bowl to make your dressing. Then add your dressing and breadcrumbs. 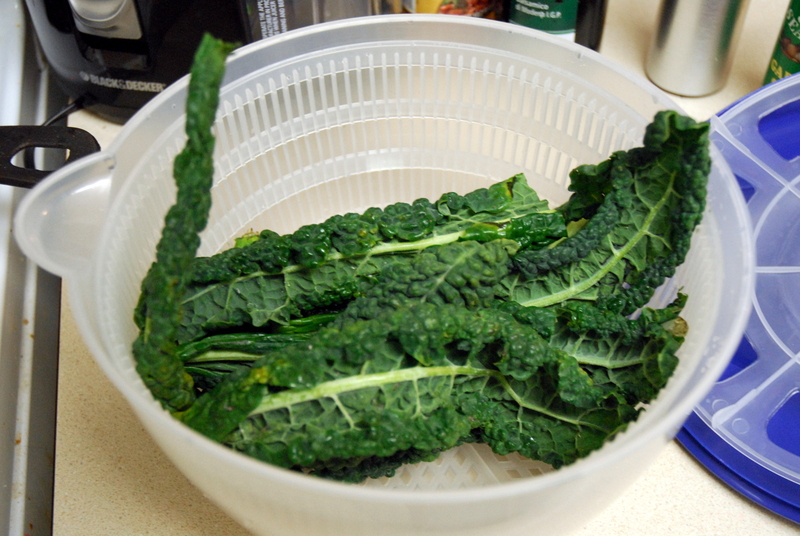 Rinse and dry your kale in a salad spinner. 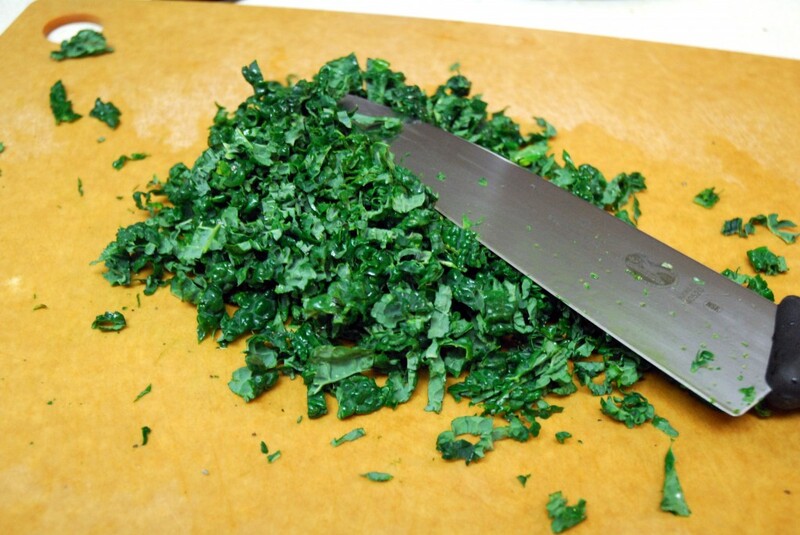 Chop the stems off of your kale and slice the kale into thin ribbons. In a large bowl, massage your kale with the lemon juice and let it sit for 15 minutes. While you’re waiting, in a small bowl, mix together your tahini, water, minced garlic, salt and sugar to form the dressing. 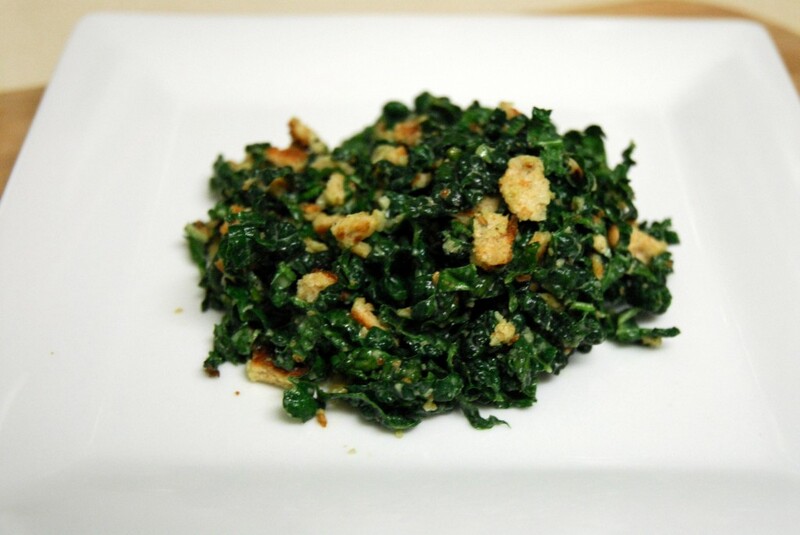 Add the dressing to the kale and mix in some toasted bread crumbs. This entry was posted in Fitness, Gluten-free, Recipes, Running, Sides, Vegetarian and tagged gluten-free, kale, running, salad, sides, vegetarian. Bookmark the permalink. Yes, please share! 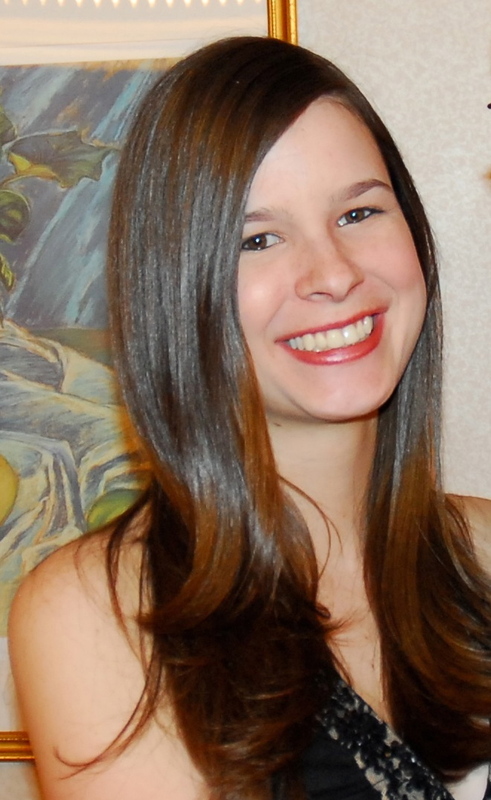 Kale pesto sounds delish – I’ve never had it.